Chinese intellectuals of the early twentieth century were attracted to realism primarily as a tool for social regeneration. Realism encouraged writers to adopt the stance of the independent cultural critic and drew into the compass of serious literature the disenfranchised "others" of Chinese society. As historical pressures forced new ideological commitments in the late twenties and thirties, however, writers grew suspicious both of the "individualism" implicit in the realist model and of the often superficial nature of the sympathies that their fiction evoked in the middle class. 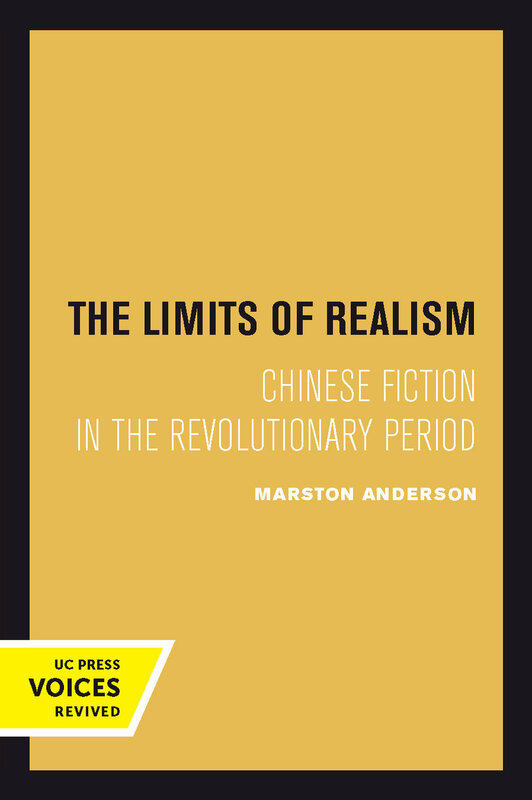 Anderson argues that realism must be defined negatively as a "discourse of limitations" and is of minimal utility in the Chinese search for political and cultural empowerment. He shows how hesitations about the realist model affect the fiction of four representative authors, Lu Xun, Ye Shaojun, Mao Dun, and Zhang Tianyi. He also considers the demise of critical realism in the face of a new collectivist understanding of Chinese reality. This title is part of UC Press's Voices Revived program, which commemorates University of California Press’s mission to seek out and cultivate the brightest minds and give them voice, reach, and impact. Drawing on a backlist dating to 1893, Voices Revived makes high-quality, peer-reviewed scholarship accessible once again using print-on-demand technology. This title was originally published in 1990. Marston Anderson is Assistant Professor of East Asian Languages and Literatures at Yale University.